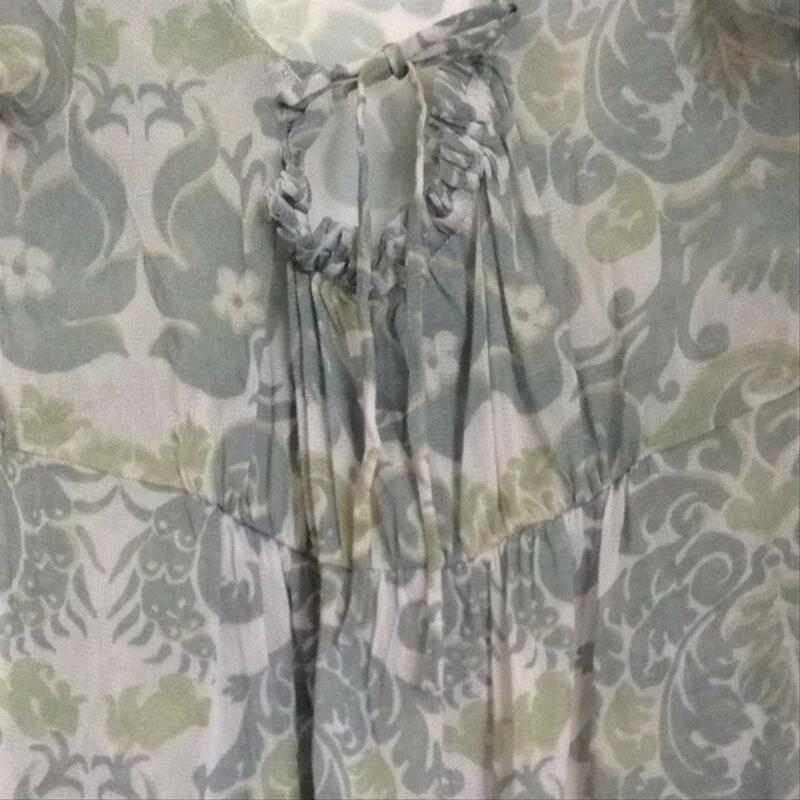 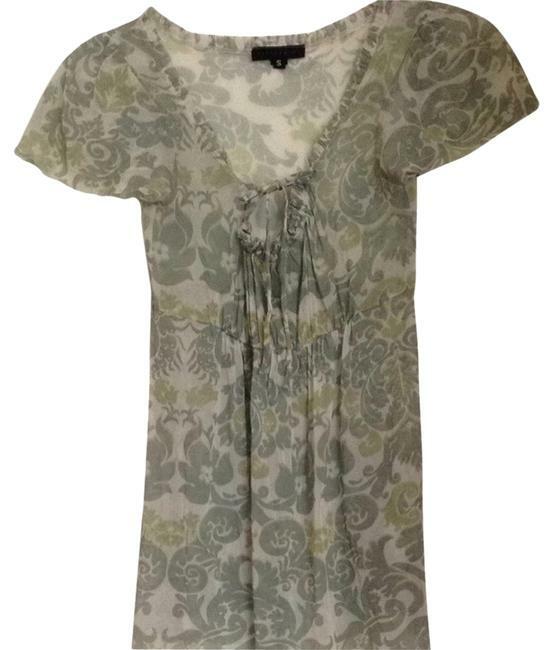 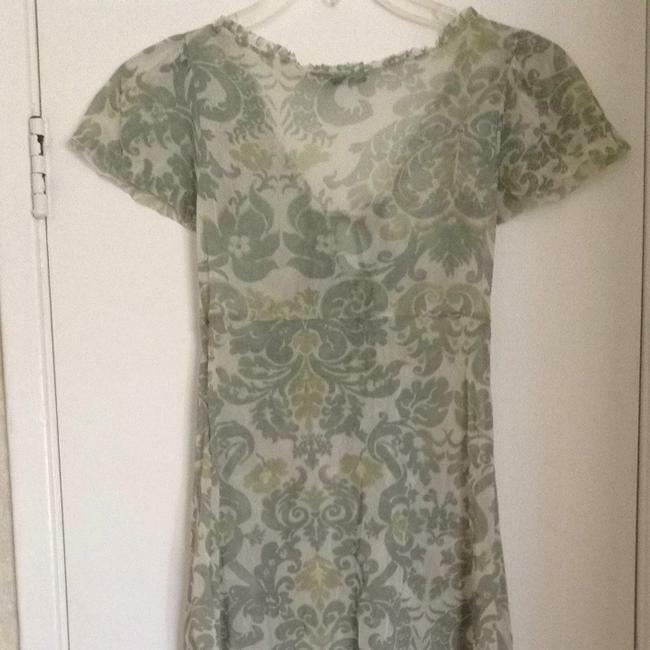 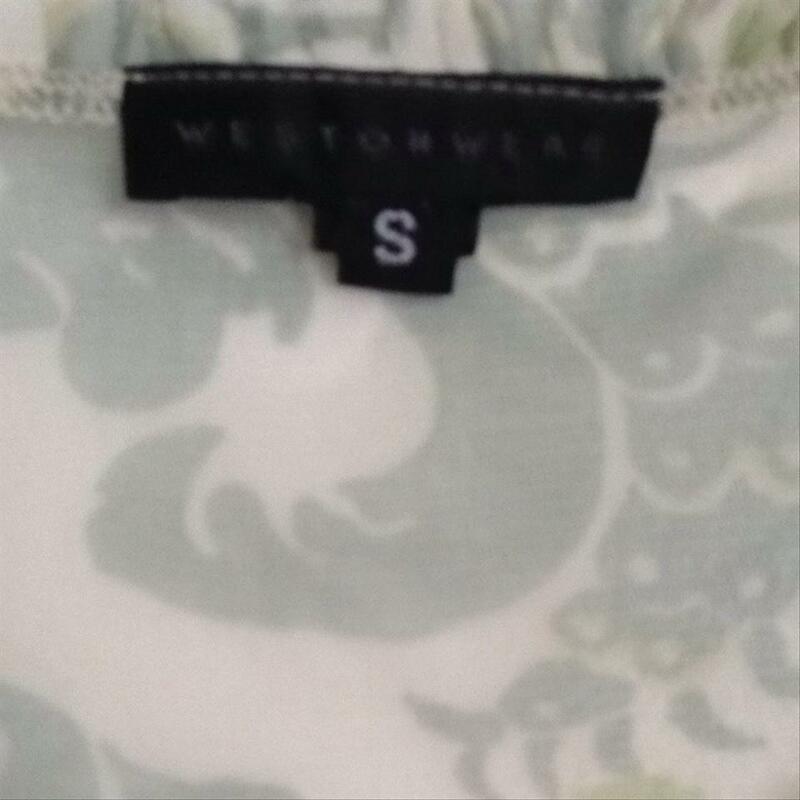 Tunic length top of sheer material and various shades of green. Keyhole front with tie closure and cap sleeves. 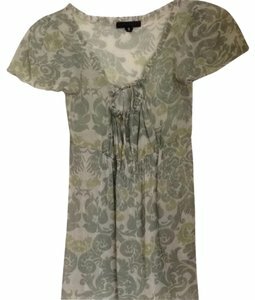 Pair with a matching camisole to complete your look.